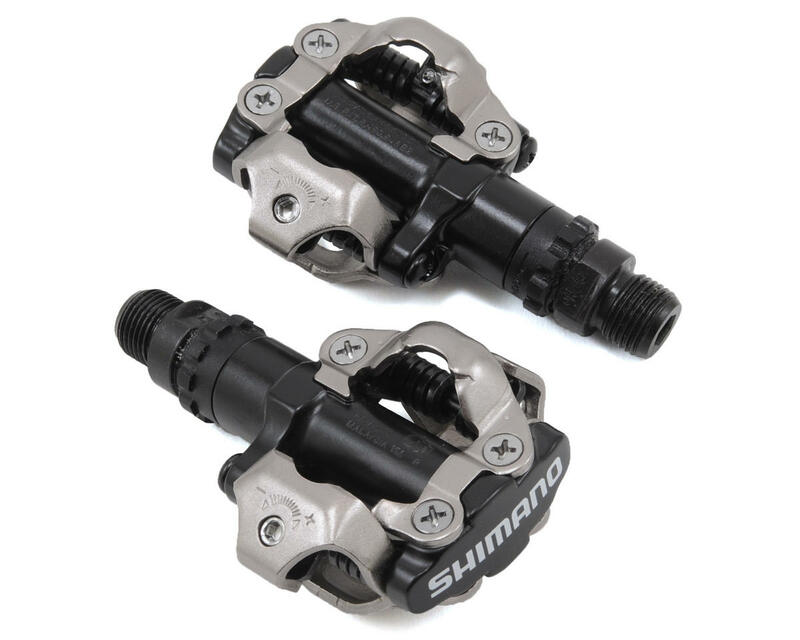 This is a pair of Shimano PD-M520 SPD Clipless MTB Pedals. Shimano M520 Clipless Pedals feature an Alloy body with cartridge bearings, chromoly spindle, and the popular SPD cleat mechanism that is proven to work in real world conditions. The 2 sided open design allows for easy no-look entry and sheds mud and debris easily.